The Association for Women Geoscientists, Earth Science Women’s Network, and the American Geophysical Union are partnering to address the problem of sexual harassment in the earth, space and environmental sciences with a four-year, $1.1 million grant from the National Science Foundation ADVANCE program. A primary goal of the project is to improve work climate conditions by developing bystander intervention workshops for department heads, chairs, faculty and grad students. Check the project website for new updates! Many factors play into the decisions of women to leave science, including overt and subtle forms of gender and racial discrimination. The proposed work addresses three related barriers to the retention of women in the geosciences: (1) Hostile climate due to the prevalence of sexual harassment, especially in areas with field training and research; (2) Perceptions that sexual harassment is infrequent and affects few individuals; and (3) Perceived and real lack of resources for responding to sexual harassment. We propose to raise awareness of the pervasiveness of sexual harassment through the development of tested workshops for department heads, chairs, and faculty and a survey of the geoscience community. Our work will address the culture of academic geoscience by empowering the earth and space science community to stop and prevent sexual harassment by developing strategies of bystander intervention and disseminating these through in-person and online workshops. We will enhance the ethics training of current and future geoscientists by producing teaching modules that include sexual harassment as research misconduct. We will partner with professional societies for national dissemination and sustainability. Develop and test sexual harassment bystander intervention training programs with geoscience-relevant scenarios, and that incorporate experiences of diverse women. Develop teaching modules on sexual harassment for geoscience faculty and instructors to use in research ethics training courses. Disseminate training workshops, webinars, and teaching modules via partnerships with professional societies for sustainability. Develop a sustainable model that can be transferred to other STEM disciplines. We focus on geoscientists because it is one of the least diverse of the science, technology, engineering, and mathematics (STEM) fields. Little data on how sexual harassment affects women with intersectional identities in the geosciences leads to a lack of awareness of the unique challenges faced by minority women and a lack of appropriate institutional response. The geosciences have an additional challenge: research and training at off-campus field sites where access to support networks and clear guidelines for conduct are weakened or absent. 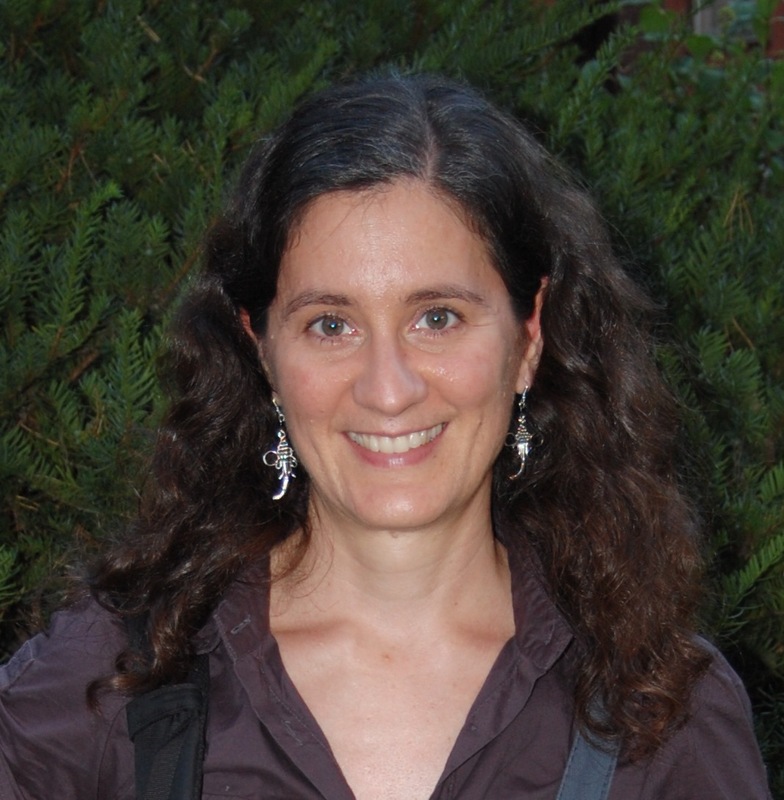 Erika Marín-Spiotta (Lead PI) is Treasurer and Leadership Board Member of the Earth Science Women’s Network and Associate Prof. of Geography, UW-Madison. She is an NSF CAREER awardee, and past co-PI of an ADVANCE PAID award to support early-career women geoscientists. She is the 2016 AGU Sulzman Awardee for Excellence in Education and Mentoring. She was on the Steering Committee of the AGU SH workshop and serves on AGU’s Ethics Task Force. Billy Williams is Director of Science and Vice President, Ethics, Diversity, and Inclusion at the American Geophysical Union. As a member of the senior team reporting to the Executive Director/CEO, he works with the Council in designing and implementing AGU’s scientific agenda and work plan. 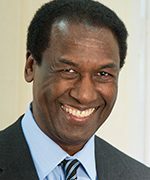 Before AGU, Williams was a senior program officer at the National Academy of Sciences and Global Research and Development Director at the Dow Chemical Company. Blair Schneider is Past-President and on the Executive Committee of the Association for Women Geoscientists. She has a Ph.D. in Geophysics from the Univ. of Kansas and is currently the TRESTLE Program Manager, KU Center for Teaching Excellence. She serves on the Women’s Network Committee for the Society of Exploration Geophysicists (SEG) and is the AWG liaison for the American Association of Petroleum Geologists (AAPG) Prowess group. Meredith Hastings is Vice President on the Leadership Board of ESWN and Associate Prof. of Earth, Environmental, and Planetary Sciences, Brown Univ. She is an NSF CAREER awardee, and served as lead PI on an NSF ADVANCE PAID award to support early career women geoscientists. She has organized and facilitated professional skills’ workshops for early career geoscientists. She is a recipient of AGU’s Atmospheric Science Ascent Award and was also recently named one of Insight into Diversity’s 100 Most Inspiring Women in STEM. 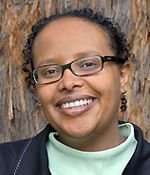 Asmeret Asefaw Berhe is on the ESWN Leadership Board and an Associate Prof. of Natural Resources, Univ. of California, Merced. She is an NSF CAREER awardee, past PI and co-PI of NSF grants that supported the participation of women and underrepresented minorities in research and outreach. 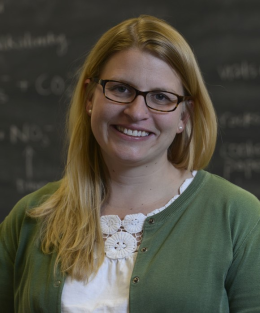 She works with the Lawrence Hall of Science to develop earth and environmental science curriculum for K-12 education and is currently assisting in the development of the next generation standards for junior high school science education in California. Rebecca Barnes is on the Leadership Board of the ESWN and an Assistant Prof. in the Environmental Program at Colorado College. Barnes has contributed to and facilitated professional development skills’ workshops for early career scientists on university campuses and at professional society meetings. She is currently co-PI on an NSF-funded, Improving Undergraduate STEM Education project to improve the recruitment and persistence of women in the geosciences. Allison Mattheis is Assistant Prof. of Applied and Advanced Studies in Education at California State Univ., Los Angeles. She is a lead researcher of the national Queer in STEM project. She has experience designing and implementing professional development programs on curriculum improvement. She teaches in programs to prepare teachers, K-12 leaders, and higher education professionals as social justice advocates in diverse learning spaces and conducts Safe Zone training. Sunita Nandihalli is a Masters student in Counseling Psychology at UW-Madison. Haley Burkhardt is a Masters student in Biological Anthropology at UW-Madison. Megan Murphy is a Biology and Dance undergraduate student at UW-Madison. Christine Pribbenow (Internal Evaluator) is Senior Scientist at the Wisconsin Center for Education Research at UW-Madison and Director of the LEAD Center (Learning through Evaluation, Adaptation, and Dissemination), whose mission is to advance the quality of teaching and learning by evaluating the effectiveness of educational innovations, policies, and practices in higher education. Pribbenow has extensive experience in the development, implementation, evaluation, and dissemination of faculty training about departmental climate on gender and racial bias. 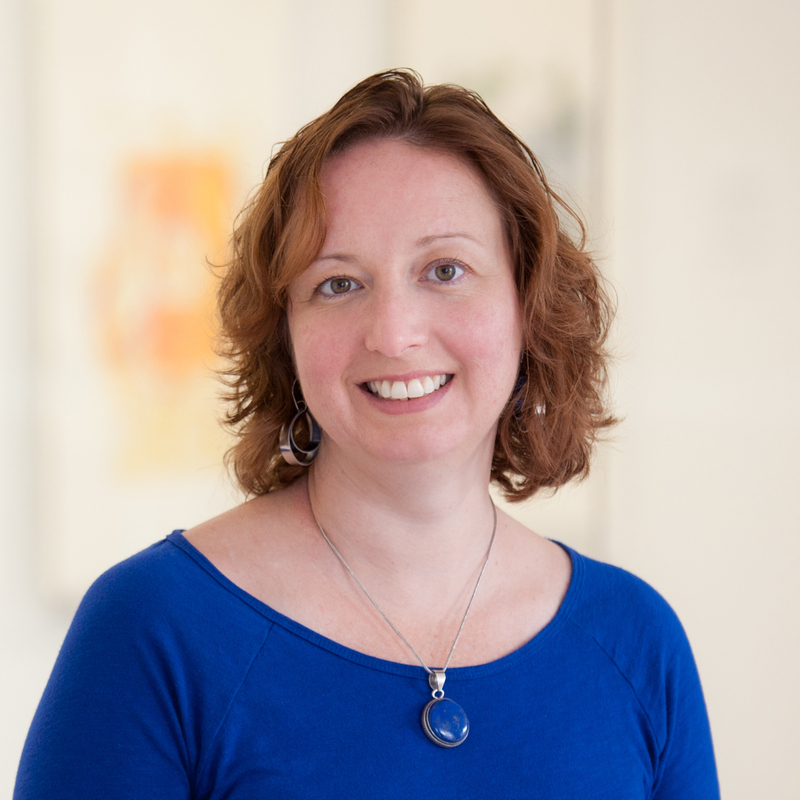 Christine Fabian is an Assistant Researcher at the Wisconsin Center for Education Research at UW-Madison with expertise in evaluation research for grants and programs related to higher education. Her evaluation experience involves community education programs, NSF funded scholarships, undergraduate research experiences, first-year student engagement activities, and women in STEM. Laura Sample McMeeking (External Evaluator), Associate Director of the Colorado State Univ. STEM Center has an M.S. in Atmospheric Science and a Ph.D. in Education Research Methods. She has more than ten years of experience evaluating large-scale federally funded projects. Her research focuses on STEM professional development for faculty, postdoctoral researchers, and students. Her work aims to understand how professional development leads to changes in knowledge, attitudes, skills, and behaviors with regards to instructional and professional practice. The National Association for Geoscience Teachers (NAGT) educational review team will advise on the web-based module and review content for incorporation into Teach the Earth and NAGT’s leader training program. Anne Egger is Associate Prof. of Geological Sciences and Science Education at Central Washington Univ. She is currently President of NAGT, where she also chairs the professional development planning committee, has led faculty workshops and developed the review process for project sites for Teach the Earth. She is senior editor of Visionlearning, which creates freely available, online teaching resources that highlight the process of science, including research ethics. Aisha Morris is Director of the Research Experiences in Solid Earth Sciences for Students and Education Specialist, UNAVCO, Inc. and NAGT Executive Committee Member. She has a Ph.D. in Geology and Geophysics and served on the Advisory Committee of the Continental Scientific Drilling Coordination Office Outreach, Diversity, and Education Committee. Morris is also on the ESWN Leadership Board. Jennifer Wenner is Prof. of Geology at UW-Oshkosh and NAGT Executive Committee Member. She served as co-PI on two NSF CCLI grants and has worked with SERC on several educational programs, including leading workshops for faculty on teaching quantitative skills. The following links are available if you would like to learn more about bystander intervention training or dealing with sexual harassment and assault on campuses. HollaBack! - Hollaback! is a grassroots initiative to raise awareness about and combat street harassment. Hollaback's Global Site Leader Program trains community organizers and helps them launch local chapters. As of 2017, there are over 69 sites in 31 countries, using 19 languages. Hollaback! conducts workshops in middle school, high school, and college classrooms. NewPoint - NewPoint is women-owned, they specialize in high-risk management issues such as sexual harassment and sexual assault prevention. NewPoint also develops technology platforms to deliver learning concepts online while offering facilitator-led training and live collaborative learning sessions using new digital media. Step UP! - Step UP! is a bystander intervention program that teaches students to be proactive in helping others. The program was developed by the University of Arizona C.A.T.S. Life Skills Program. Training focuses on the determinants of prosocial behavior, providing a framework explaining the bystander effect, and teaches skills for intervening successfully. Green Dot - The Green Dot Strategy is a bystander intervention program that utilizes the power of individual choices to shift social norms. Green Dot is based on interdisciplinary research including social change theory and perpetration patterns. Green Dot offers training for attendees working at every educational level (K-12 and college). RAINN - RAINN is the nation's largest anti-sexual violence organization, and they run the National Sexual Assault Hotline. RAINN has developed an online tool, the Prevention Navigator, to help colleges choose the right sexual assault prevention program for their campuses. “UW geographer leads initiative against sexual harassment” by Greg Bump. Published 7 August 2017. “NSF Grant: AGU and partners aim at gender issues in geoscience.” Eos, 98. By Billy Williams. Published on 10 August 2017. “Disturbing allegations of sexual harassment in Antarctica leveled at noted scientist” by Meredith Wadman. Science. Published online 6 October 2017. “Cal State LA faculty member collaborates with national team to prevent sexual harassment” by Margie Low, Cal State LA News Service. Published online 16 October 2017. 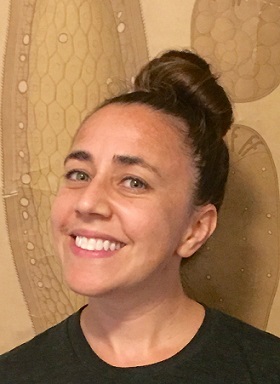 “Cal State LA faculty member from Silver Lake collaborates with national team to prevent sexual harassment” The Silver Lake News. Published on 16 October 2017. “Confronting sexual harassment in science” by Cristine Russell. Scientific American. Published on 27 October 2017. “How scientific societies are moving to address sexual harassment” by John Hawks. Published on 27 October 2017. “Breaking: Boston University concludes geologist sexually harassed student” by Meredith Wadman. Published on 17 November 2017. “Sexual Harassment, the Open Secret of the Scientific Community“ interview by Anne Strainchamps in To The Best of Our Knowledge, Wisconsin Public Radio. Aired on 2 December 2017. This work is funded by NSF Award # 1725879 “ADVANCE Partnership: From the Classroom to the Field: Improving the Workplace in the Geosciences.” The goals of the ADVANCE program are (1) to develop systemic approaches to increase the representation and advancement of women in academic STEM careers; (2) to develop innovative and sustainable ways to promote gender equity that involve both men and women in the STEM academic workforce; and (3) to contribute to the research knowledge base on gender equity and the intersection of gender and other identities in STEM academic careers. The ADVANCE program contributes to the development of a more diverse science and engineering workforce because of the focus on equity for STEM academic faculty who are educating, training, and mentoring undergraduate and graduate students and postdoctoral scholars.